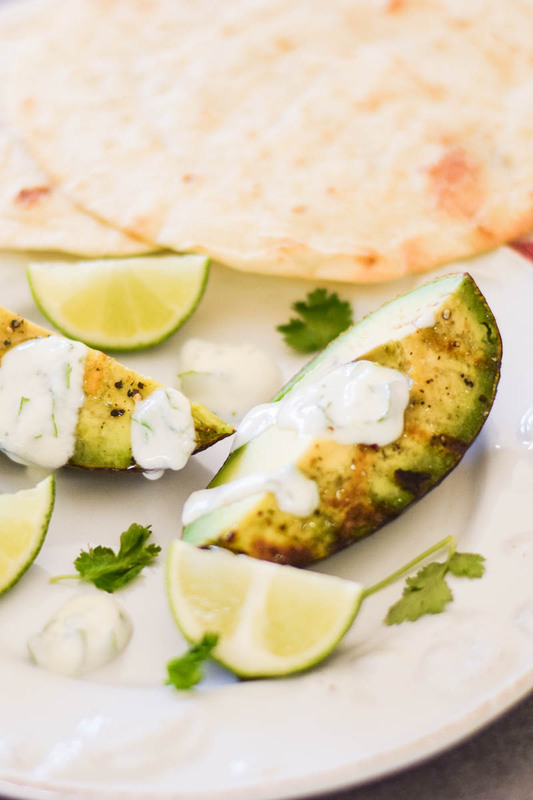 Grilled Avocado with Cilantro-Lime Cream is grilled with a slight char then served with grilled flour tortillas and cilantro-lime cream sauce. A little different, a lot of special and a whole lot of delicious! This week the Sunday Supper Tastemakers event is “Throw Something on the Barbie” and we are sharing recipes that are cooked on a grill! Thanks to Sue Lau from A Palatable Pastime for hosting this week! I absolutely am enamored with avocados and I never really realized just how much other people loved them until I joined the food blogger world. Then, lo and behold, I meet people I work with over the last 6 years who love them as much as I do. I guess I shouldn’t have been surprised. I mean, after all, someone has to eat all those avocados in the stores! 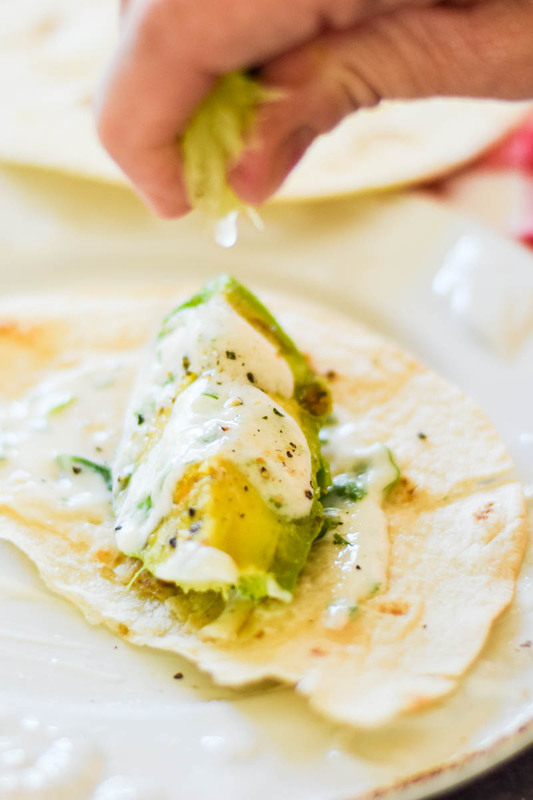 The recipe is very basic, all you need is avocado, lime juice, cilantro, sour cream, salt, pepper and sugar, flour tortillas, and a hot grill! I found this recipe in a booklet I bought a few years back for fast, fresh & filling weight watcher recipes. 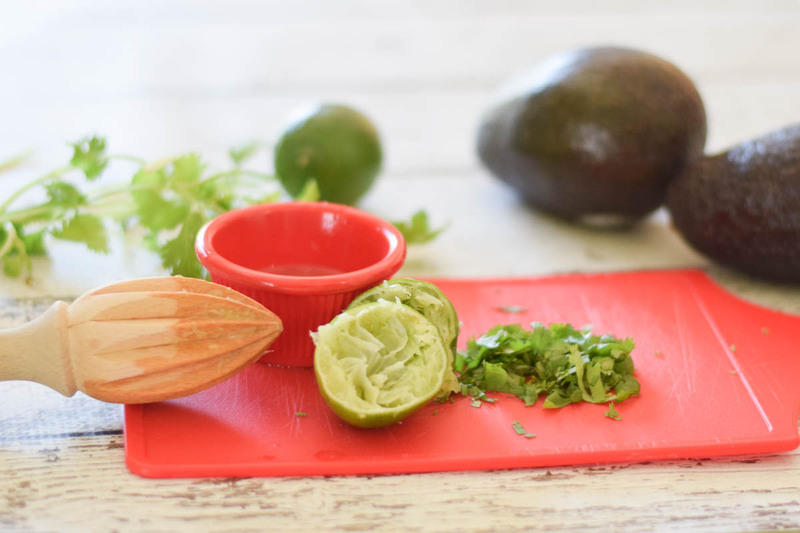 I altered it only a little by changing the amount of seasoning to put on the avocado when cooking and adding a little of it to the finished product. I also decided to add grilled flour tortillas to the picture. I felt serving the avocado on the tortilla was a good venue to go to and I was not wrong! Sometimes the simplest recipes are some of the tastiest, this is definitely one you want to share this summer. Mix together sugar, salt, and ground pepper. Spray cut side of avocado with cooking spray. Sprinkle avocado halves with sugar mixture, reserving some for finishing. Spray both sides of tortilla with cooking spray. Place on grill and grill until toasty. Remove from grill and set aside. Place Avocado, pit side down, on grill rack. Grill 1-2 minutes on each side, or until lightly charred. Combine sour cream, cilantro, and lime juice. Cut each avocado half in half. Drizzle with sour cream mixture and sprinkle with a little reserved sugar/salt/pepper mixture. Serve with flour tortilla. 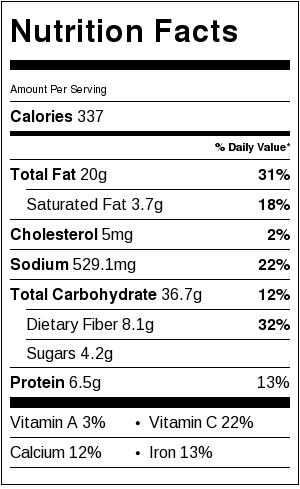 If you’re interested in reducing the fat more, consider using fat free greek yogurt in place of the low-fat sour cream. You’ll have higher protein count as a benefit also! 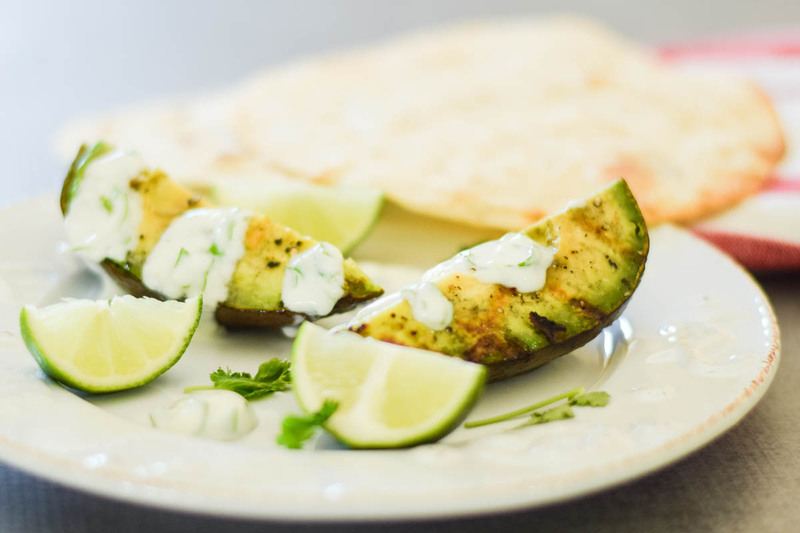 GRILLED AVOCADO WITH CILANTRO-LIME CREAM – PIN IT! I was really looking forward to seeing this one when I saw your recipe title in the list, Shelby, and it does not disappoint! What wonderful flavors you’ve got going on! I adore avocados too and have yet to meet an avocado recipe I do not like. We ALWAYS have avocados in the house. My three year old gets so annoyed with me if we run out! I have never tried one on the grill though. We will definitely have to give that a go! Love all the flavours and can’t get enough avocado!! Wow, I never thought of grilling avocado! What a great idea! They don’t even look like they browned at all. That’s fantastic! I love avocado but was always a bit unsure about it being cooked until I had it grilled in tacos recently and it was delicious, so sure I’d like this! I’ve been totally craving avocado lately and grilling it sounds like the perfect way to enjoy it. Can’t wait to try it! What a great idea to grill avocado. I can’t wait to try this. 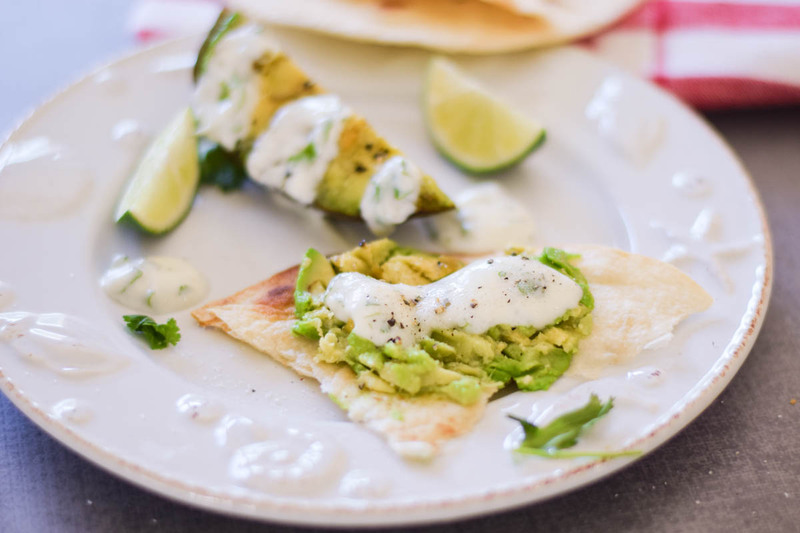 What a great way to change up the same old boring avocados! Brilliant my friend! Wow, this sounds amazing! I am ob-sessed with avocados and am always looking for new ways to enjoy them. Can’t wait to grill them this summer! Avocados are the best!!! But I can’t belive I’ve never tried grilling them — need to give this a shot!